Hairs are one of that parts of our body which we cannot really hide under any kind of clothing. At the most one can tie a scarf or wear a cap but it is not possible to do so all the time. Being an important part of your physical appearance, hair boost confidence in you. When your hairs are washed and well settle, you feel good and that boost confidence in you. Your hair and skin are one of the first things that people notice when they see you for the first time. You should know that your hair and nails are important part of your body. Nails and hairs contains some hidden power. You must have heard of black magic in which mainly hair or nails are used because they have some significance. So your hair is like a power boosters because they enhances confidence level in you. I am not freaking you out but just telling how important is our dead cell things are. 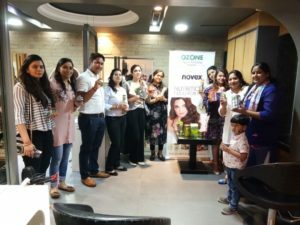 Recently I went to a blogger meet in Megha Salon organized by Ozone Organic Advantage : Novex has given an amazing experience. 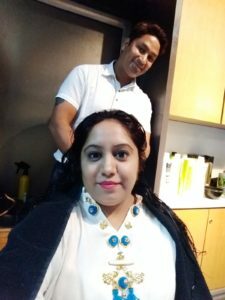 Its being 7 year I have done any hair spa in salon or done hair cutting . Last time I did was when my daughter was 3 month and returning back to my in-laws house and taken Keratin treatment. It does not last even for 3 month. It is very necessary to maintain your hair treatment but with baby it was not possible. You know sleep deprived mom can’t take care of hair treatment any more. It seems a joke. Now time to flaunt my look again. Coming back to the brand and products. Ozone professional Range provides skin care with certified Organic advantage to restore make skin radiant and younger looking skin. Now Ozone launched Novex & Nutrisalon two legendary hair care brand from beautiful Brazil in India. 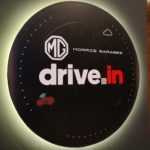 Mrs. Sakshi Wadhwa ,brand marketing manager of Novex explain all about the brand journey and milestones. 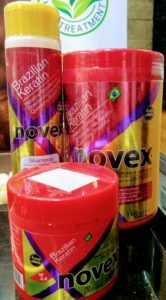 Novex is number one hair brand with 100% original Brazilian Product , it means pure natural ingredients no harsh chemicals on your hairs. It is enriched with Vitamin E. It is available in over 53 countries world wide. 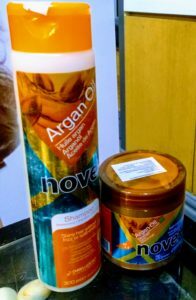 Brazilian hair care Secrets is here – Novex is nutritious deep conditioning system develop to treat the hair and credibly natural looking straight look, reducing volume and frizz, without damaging the fundamental structure of hair. Certified 100% free of formaldehyde. 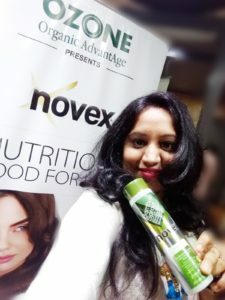 Novex Products are suitable for all hair types and are consumer friendly. It is also used to recondition the hairs which has pass through so many chemicals for colouring,straightening and excessive heat tools. When you are looking to get healthy hair, bamboo extract appears to be a great way to get there. In shampoos, the bamboo extract can serve the purpose of clearing the hair dusts so that hair can grow. It’s also good because it helps to wash build up from your hair. It can really help to get rid of all the gunk that we put into our hair during the day and make our hair look shiny and new. That’s why it’s great for your hair. Your hair is made up of keratin, so the treatment is putting the protein back into the hair, which is often lost due to age and chemical services. It is essentially rebuilding the damaged areas, you can expect to see an increase in shine, less frizz, and an easier styling process overall. Argan oil is king of oils . It is often called ‘liquid gold’, argan oil is an organic product extracted from the kernels of the argan tree, which is native to Morocco. It is extremely rich in beneficial nutrients including fatty acids and Vitamin E. That’s what this treatment does treat split ends means no more split ends , dry and tame frizzy hair. Olive oil is truly a powerhouse when it comes to hair, skin and beauty applications. Its rich, moisturizing properties make it ideal for use on your hair. Olive oil helps protect the keratin in hair and seals in moisture. 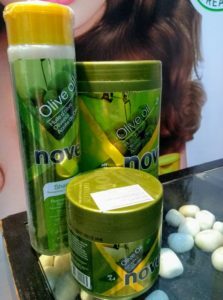 Novex Olive Oil treats dry hair, combining deep protection, hydration and nutrition. It was specifically developed to provide all shine protection and life to your hair. I have amazing time in hair spa . 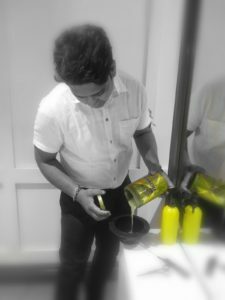 Man of the day Regional Technician Mr. Vinay Kumar who has magic in his hand make my rough ,dry and boring hair to soft and shine. He has use Novex bamboo shampoo and Novex bamboo mask. I literally can’t take my hands off from my hairs. Its first time I love to play with my hairs. 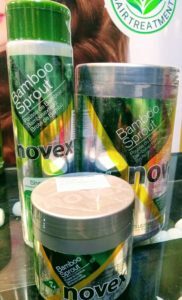 The Novex hair spa treatment last for 15 days and keratin treatment 3-4 month but you have to maintain it by use Novex products at home which are used while your hair treatment. Friends Do you like my new look? You can check out the sites and you must try it. Its always better to talk on the present. Now a days, it is becoming difficult to breathe not only outside but also inside home. Now you may ask why inside home? Most of us don’t realize that the air inside home is more polluted compared to the outside world. 1.The air inside your home may be polluted by lead (in house dust), formaldehyde, fire-retardants, radon, even volatile chemicals from fragrances used in cleaners. 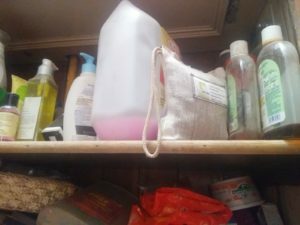 2.The chemicals we use to kill household insects and fungal growth also causes air pollution if the room or the house is not ventilated properly after use. Some pollutants are trapped in the air. 3.Some arrive via a new mattress or furniture, carpet cleaners, or a coat of paint on the walls. 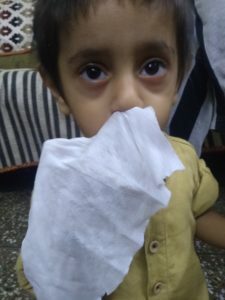 Indoor pollution is one of the leading causes of health issues in the India. Allergens and irritants have become much more important in recent decades because we’re spending more time indoors than outdoors. 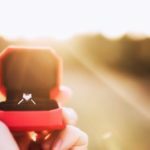 What can you do for Indoor air pollution? Using Air purifier is a solution upto an extent, but it is not possible for everyone to buy air purifier. Also there are many places at home where we can’t use air purifiers like bathroom, cupboards, kitchen.Then what can we actually do? A revolutionary product has arrived now as a great solution.. i.e. 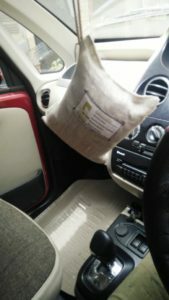 What is Vayu natural Air purifying bags ? 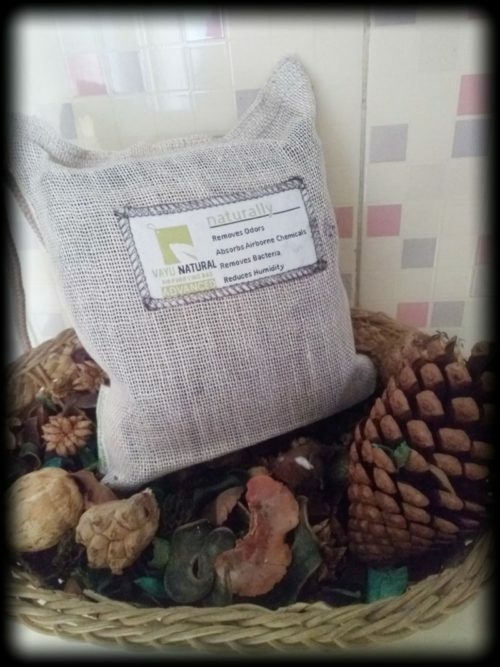 Vayu Natural purifying bag has activated charcoal which we also know with the name of carbon. It is odourless and highly absorbent. It helps in removing the toxins from the air. Charcoal helps in purifying the toxins, both from air and water. 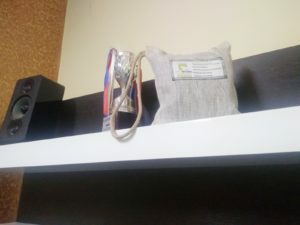 Vayu natural Air purifying bag is the only advanced air purifying bags with 3 layer technology which gives maximum filtration from toxic gases present in the house. Most commonly, bathrooms have that moisture smell. Even after using room freshener the smell still remains. Vayu bag absorbs excess moisture from the damp areas like bathrooms, stores etc. and by this the growth of mold, mildew, and bacteria can be prevented. 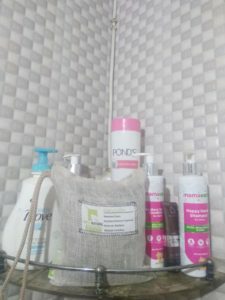 When I started using Vayu bag, I stoped using room freshener in bathroom or wardrobes. 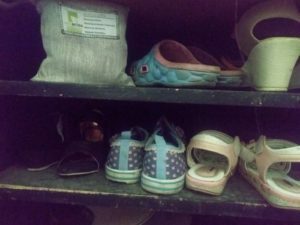 1.Shoe rack, our daily wearable cause a foul smell.To keep your shoes and shoes rack odour free and fresh you can use Breathefresh Vayu Natural purifying bag there. 2. Things which clean our house actually cause smell like mob cleaner, household cleaner and areas where they are stored. 5. Season change cloth packaging is great issue, I use to keep phenol balls but it leave a very strong smell. Vayu bag helps you to get away with smell and humidity issues. 6. Our refrigerators are always stuffed with so many eatables, to avoid the smell mixing, Breathefresh Vayu bag is the best option. 7. Bye bye to mold and mildew issues. 9.I am allergic to strong smell so this is the best option for Cars acting as Car Air purifier. 10.Most of us can’t bear the smell of new paint, Furniture,this Vayu Bag is going to be your saviour for sure. 11. Storage places or close cupboard in kitchen, where you keep all the pulses or other spices has humidity as well. Vayu Bag is good to fight that odd smell. 6.Can last upto 2 years when recharged regularly . Place the bag in direct sunlight once a month for 2 hours to recharge and use it for the fresh air. Vayu Naturals Air Purifying Bags Advanced comes in a package of 250 grams with the package priced at 599 INR. It is available at Breathefresh.in or on Amazon as well. When I was a kid, my grandma cure me with his magical treasure of herbs . She couldn’t see me suffering from even slight cold, she would rush to me with her home-made and everything would soon be back to normal. 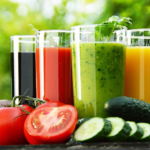 Home remedy treatment makes use of things bestowed on us by nature like herbs. My grandmother remedies fascinate me a lot. I still ask for my mom about it, but with today’s life where every thing is aduteration or Pesticides kill the benefits of herbs. Recently I got this opportunity to be a part of of Amway Event on the occasion of 20 year in market with their products for everyone. They invited us on this occasion with new herbal products launch which are need of today. I was so excited to find products with goodness of pure natural herbs for taking care of my family and loved ones. 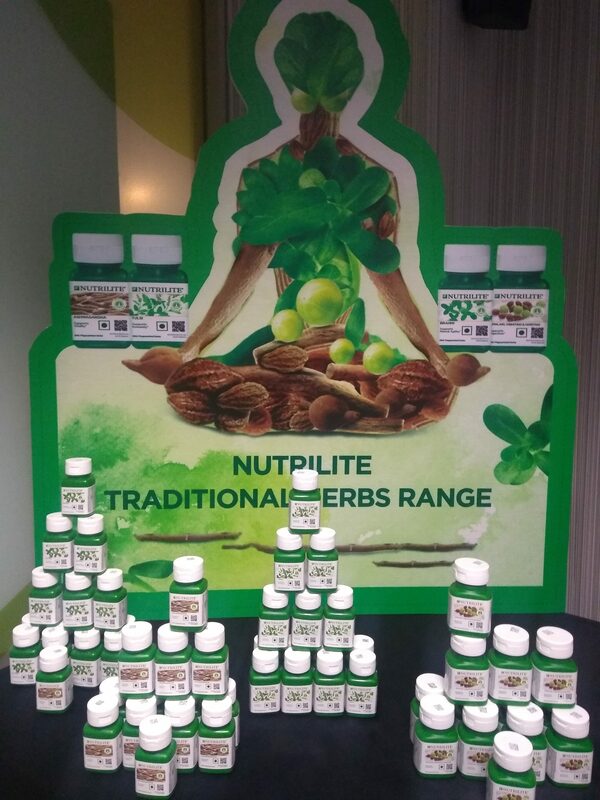 Nutrilite Traditional Herbs Range go well with Prime Minister Narendra Modi’s ‘Make in India’ vision as it is developed for the Indian consumers. The range is being manufactured at Amway’s state-of-the-art LEED ‘GOLD’ certified manufacturing facility located in the Dindigul district of Tamil Nadu. DNA Fingerprinted Herbs- also known as DNA profiling, DNA typing, or genetic fingerprinting is a novel approach that involves identification of a species. It also helps in identifying better quality with active form and free from any kind of contamination/adulteration. 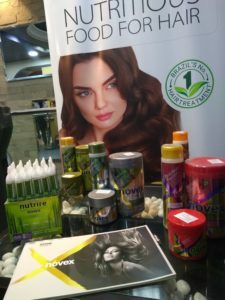 Reason behind belief is Nutrilite products because they are extensively researched, tested and only pure,safe products goes to consumers hand. 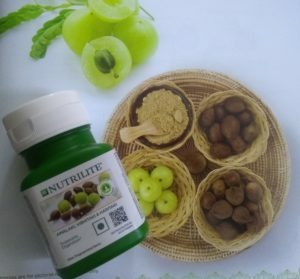 Good Manufacturing Practices (GMPs) are followed at the manufacturing plant in Tamil Nadu for all the Nutrilite dietary nutraceuticals to ensure the safety, proper identification, and highest quality of the products. The research and development processes are strictly quality controlled. This plant is also LEED Gold Certified. from certified non-GMO sources to prevent any unknown health hazards and it ensures safety. The certified organic herbs are sourced from certified organic farms. 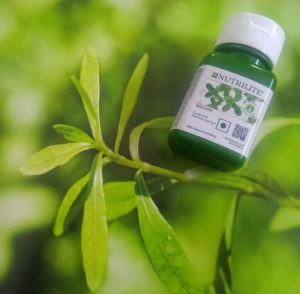 Active Ingredient/ Constituents:The quality and efficacy of Nutrilite’s new range lies in its high concentration of beneficial active ingredient/s which are extracted right from the herbs. This makes the quality of Traditional Herbs range truly premium. For instance, one tablet of Tulsi has benefits equivalent to over 100 dried organic leaves of Tulsi. Amway has newly launched Best of traditional wisdom of herbal products are:- . 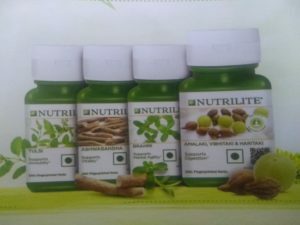 The Nutrilite Traditional Herbs range comprises of 4 products including Nutrilite Tulsi, Nutrilite Brahmi, Nutrilite Ashwagandha & Nutrilite Amalaki, Vibhitaki, and Haritaki. Forgetting things become daily routine keys,money,books,phone and even forget why I open the fridge? Sometime I think I am out of my mind but its not our fault its sign of aging. We need to give food to our brain too and Brahmi does it all for you. I’m going to give Brahmi to my daughter so her concentration power and memory power increase that will help in her studies. With today lifestyle we are dealing with lot of stress and even we kill our sleep because of stress and work. Solution lies in the portion of this herb . Tulsi who does not know goodness of Tulsi . Mom use to add tulsi in my tea and she even ask to chew it for better immunity . When I fell ill from cold she use to say extract tulsi leaves,add honey and ginger that will help you to get rid of cold. But do we have time to do any of these thing now. So Amway come up to boost your immunity . Best part is Amway one tablet of Tulsi have  dried tulsi. Can you think of 100 tulsi in a day. Can you pluck out whole plant to have it nor you know ,you are having right tulsi for your cure because even tulsi is of five kinds. Leave all worries to Amway . Amway is here to help you , staying healthy by provide right and active ingredient of plant. Tulsi help in supporting immunity, being potent adaptogen, having an antioxidant. In today hectic lifestyle , unhealthy eating habits end up with indigestion and gastric problems . This tablet surely can’t change your lifestyle but surely helps to support your digestion naturally. 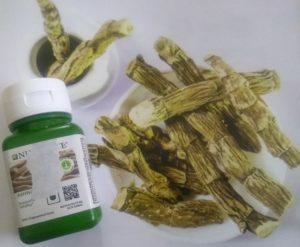 Amalaki, Vibhitaki and Haritaki is blend of three herbs extract which help in supporting digestion, improving appetite, detoxifying the body systems , soothing hyper acidity. Isn’t the tablets are necessity of healthy life? Certified Herbs and the DNA Fingerprinted herbs which is unique of its kind currently available in the market. Priced at INR 649 (inclusive of all taxes) for a bottle of 60 tablets for each variant, the new range is compliant to the new Nutraceuticals Regulations i.e. The Food Safety and Standards (Health Supplements, Nutraceuticals, Food for Special Dietary Use, Food for Special Medical Purpose, Functional Food and Novel Food) Regulations, 2016 (‘Regulations’), issued by Food Safety Standard Authority of India (FSSAI). 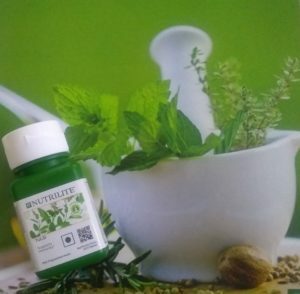 In order to maintain transparency, Amway is providing a QR code on the product packaging that explains the ‘Seed to Supplement’ journey of the manufacturing process alongside highlighting the three key pillars of Nutrilite Traditional Herbs which is Purity, Safety and Potency. Anyone can know what is use in the tablet and how safe and pure it is. Do you think there is any reason not to try out these magical portion for long life. After becoming mom, I became more conscious about cleanness & hygiene. 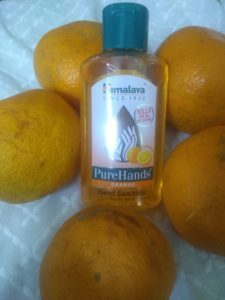 I use to wash hand so many times before holding my baby . 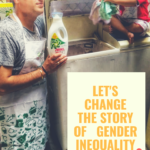 Each time I work in kitchen , go washroom or dump anything in dustbin . I developed this habit in daughter who is now 7 year old. Safe and hygienic hands means less disease . 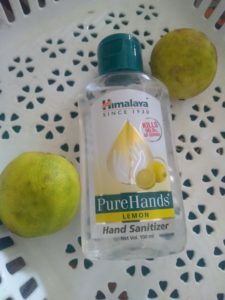 She take Hand sanitizer in school and use before eating lunch and she is very fond of Himalayas hand wash specially green apple actually she love its fruity smell. 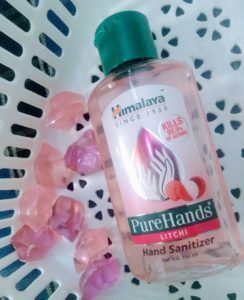 Himalaya Hand sanitizer claims the first of its kind, Himalaya’s Pure Hands is an effective, alcohol-based hand sanitizer, which kills 99.9% of germs, prevents infection, and ensures total hand hygiene. 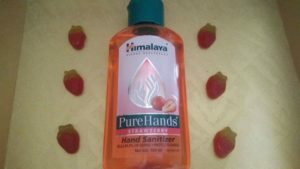 Himalaya Pure Hands santizer is absolutely safe for regular use. It contains moisturizers that prevent skin irritation and dryness. The product has been clinically tested, and its safety and efficacy is proven. This has a soft gel like texture and looks transparent. flip cap. This shuts very well to avoid any leakage and makes it travel friendly. No water is required after use. 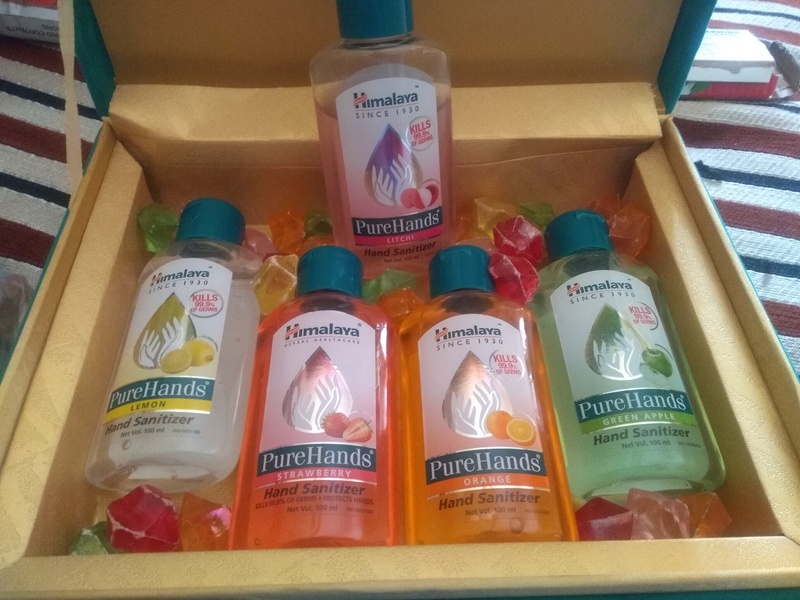 Himalaya Pure Hands is absolutely safe for regular use. It contains moisturizers that prevent skin irritation and dryness. 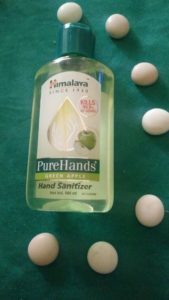 Green apple hand sanitizer is green in colour. It is my daughter’s favourite hand sanitizer. It has fruity smell of green apple. It is dark pink in colour. It has light fruity strawberry smell. It is in Orange in colour. It has citrus flavour smell. It is little stronger in smell but love it. Take away all strong smell like garlic and other bad odours. It is in transparent in colour with little smell of lemon. I rate the product 5/5 and definitely going to purchase in future as well. Its very difficult to find pure natural products in today’s lifestyle. So our skin suffer a lot because of chemicals products. I always remain in search for product which are natural, free from chemicals and pure. My mom always insist on Ayurveda products and till today she use all natural,ayurvedic products. Same goes for me , I agreed to my mom and had adopted that habit in my lifestyle too. Ayurveda the science of life is the traditional system of medicine in India since centuries. 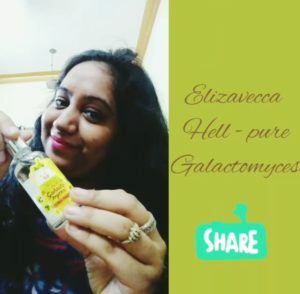 I have seen my mom using the product of Baidyanath which I can use in my words synonymy of Ayurveda. What can be more honor aspect when The President of India, Shri Ram Nath Kovind, presented the Pt Ramnarayan Sharma National Ayurved Award for the years 2008-2014 at Rashtrapati Bhavan. When you are trusting Baidyanath products means you are choice is 100% right. 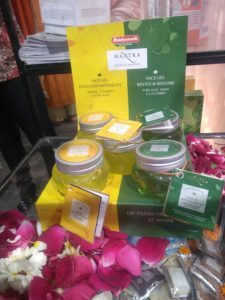 Mantra is an initiative of the Baidyanath group , name synonymous with Ayurveda since 1917 . The full size bottle has a pump attached to it which needs to be pressed down to get access to the product. Also, dark bottles are best for preservation of natural ingredients which makes the packaging get full marks. 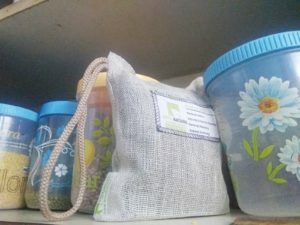 The travel sized version (as shown in pictures) is spill proof, carries god amount of product and thus is travel friendly too. 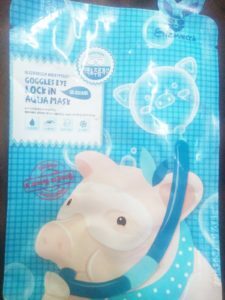 Ingredients :Aqua, sodium Lauroyl sarcosinate, Acrylates/beheneth-25 Methacrylate Copolymer, Coco Amido Propyl Betaine, Decyl Glucoside, Lauryl Glucoside, Methoxy cinnamidopropyl Behenyl Dimonium Chloride, Glycerin, Polyethoxylene Sorbitan Mono Laurate (Tween 20), Coco-mono ethanol Amide, Azadirachta Indica (Neem) leaf extract, Polianthers tuberosa (Jasmine) flower oil, Kathnon CG, Disodium EDTA, CI 75810, Potassium sorbate. The consistency of this clear body wash is not so runny nor too thick. All Our products are free from harmful chemicals, Silicone, Paraben, Paraffin, SLES, SLS, Glycols, Formaldehyde, PEG & Soap. No Artificial Colours & Fragrance. pH balanced. 100% Vegetarian. 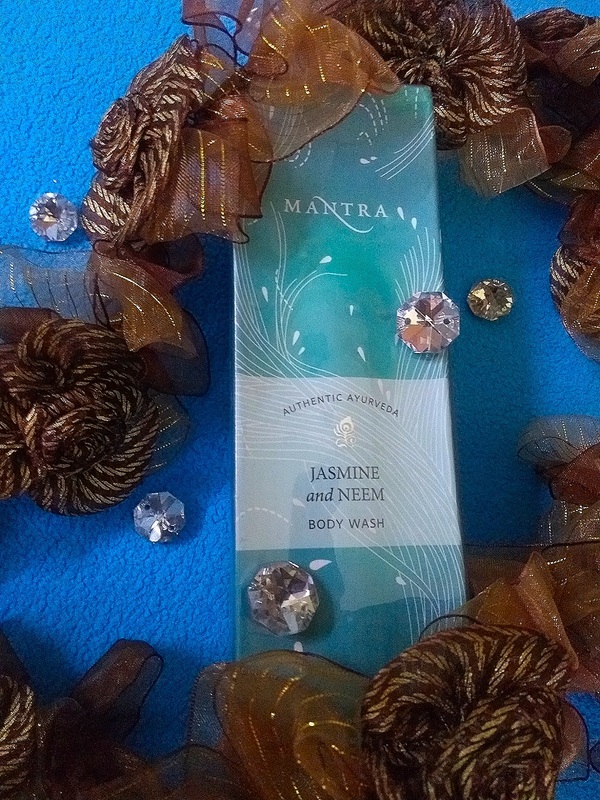 Not tested on Animals.This refreshing jasmine and neem body wash smells GREAT and even my washroom smells like heaven showers. 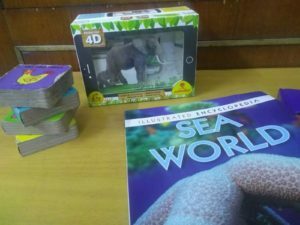 Like other mom’s I am also very keen to add new words, knowledge, information in my child’s mind dictionary so I keep on adding new toy,books into his cupboard. The place we call home-the earth, houses innumerable species. but out of all theses,one has been on the top of the food chain. Yes,it is the human race! though our physical strength can never match the strength of the great and mighty animals,even after thousands of years man has ruled over the world and everything in it.Still different creature attract our attention to know them more. Children today are much smarter. Even my 18 month kid know how to swipe my phone to unlock , clicking button on my laptop . It become impossible to do work in front of him as if he wants to do all my work. I called today generation “DIGITAL GENERATION” . Tell me If I ask you to choose from books and thing where everything look alive what will you choose- 4D games? Ofcourse, 4D games ,you want to see thing living ,moving,crawling with sound. 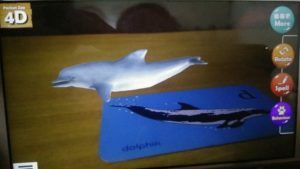 It is interactive way to hold the attention of learners. Children always more inclined towards gadgets today. I also believe that kids always remember things which they visualize. 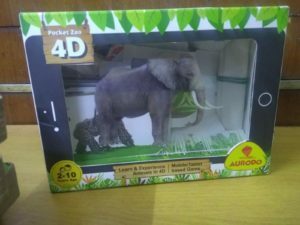 Recently I come across pocket Zoo 4D by Aurodo which draw my attention. Children are always keen to know animal’s kingdom .Do you know why? Because it make learning a fun , make animal appear real. It is for age 2-10 years. Its packaging is beautiful and draw attention too. The card quality is good. It is easy to use. its Cost is just RS 499/- and must say it is totally worthy. 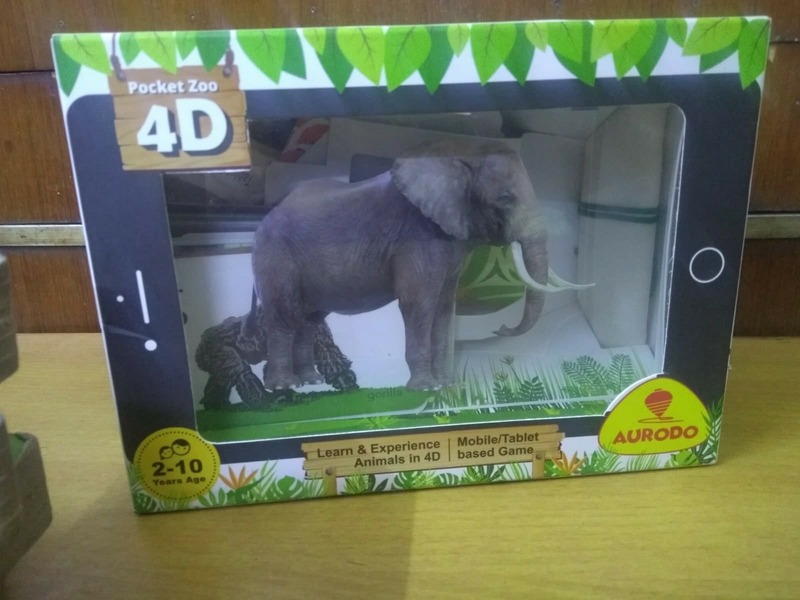 Pocket Zoo 4D is an innovative game for kids to play, learn and interact with animals on iOS and Android devices. 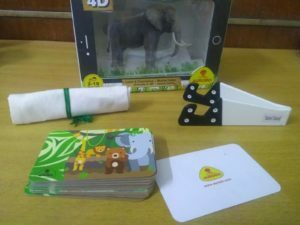 Gadget lover kid will learn through reality game cards when scanned with Tablet/ Phone the animals appears in 4D environment. This is so innovative and I love it . IT has 32 cards means 32 animal your kid to know about . it has device stand and pouch for cards. 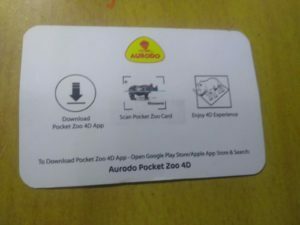 To play the game we have to download Aurodo pocket zoo from playstore or activate app using scratchcard code and now its play time . With this kids can learn about animal like how they sound, spellings and behaviour along with experiencing them in 4D. There is also a animal quiz game which turned out to be icing on the cake. My kid’s reaction was so cute ,hilarious. she jumped at first when she saw animal go live. 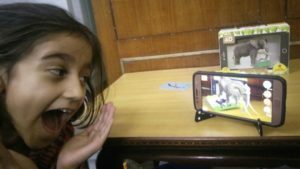 she tried to catch it and ask me that “KYA LION BAHAR AA JAYEGA” KHAYEGA TO NAHI” I just laughed when I heard all that funny questions. She was super excited and when she become master in gaming, she teaches her friends. It is really a master pieces and I wish all school should also opt for it as a mean of interactive learning. I will suggest every parent should try it . it is very helpful and fun in learning things. 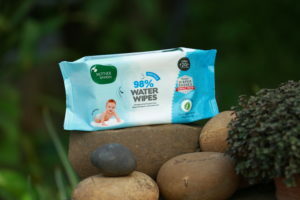 As promised, here is the another article Of Mamaearth product which I adore and use it religiously. Most of us become the lazy lad when it comes to take care of our-self and I am one of them. But honestly I consider it as a weaker part or can say the wrong part of us. I know, running around in whole day activities with kids and family make us so tiring that we always forgot or can say skip to think to adore or take care of our-self. But when my skin and hair started showing my carelessness then I felt sorry on myself and tried to pamper it a bit, honestly I am not much fond of beauty treatments . 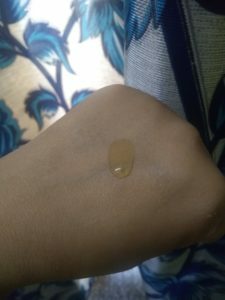 But when skin calling for some remedies I found to give a try to my trusted brand Mamaearth product. They are safe and organic. I do not want to try chemicals on my skin as had seen many side effects on people around. 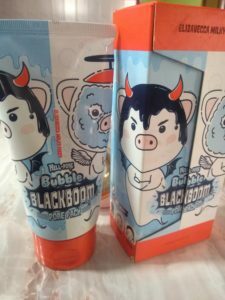 It is one of my favourite product because I have a combination skin and thats why I have acne problem and used many product but no product suppress acne so fast as its cooling effect is soo woow in summer that you actually feel . It is the best Pigmentation & Skin Lightning face mask. Best part about Mama Earth products are- they are all parabens, phthalates, SLS & mineral oil free. 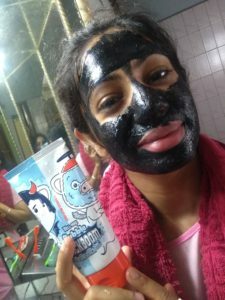 C3 Face Mask of Mama Earth is an excellent combo of Charcoal , Coffee , Clay and Fruit Extracts. 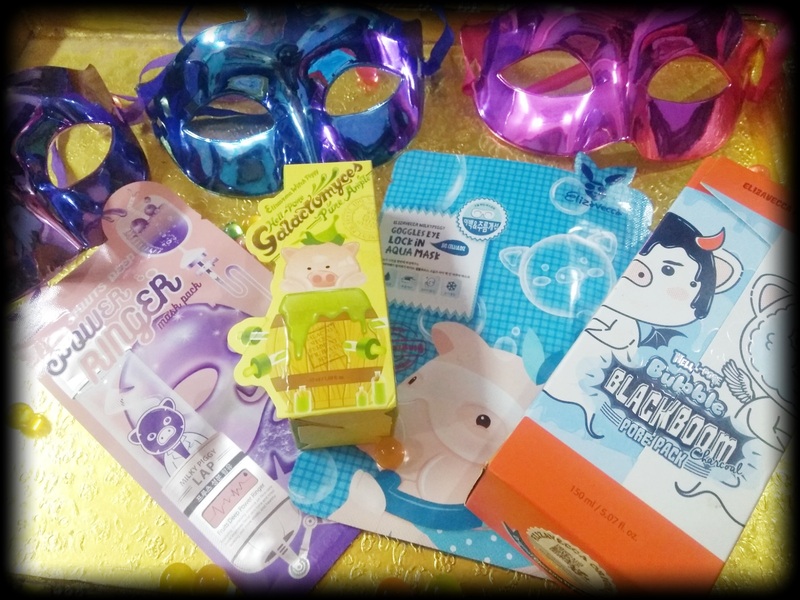 The face mask is of black color and its a thick mask , similar to a mud pack. The black color is because of charcoal in it , it give a cooling effect like Peppermint that make it refreshing. 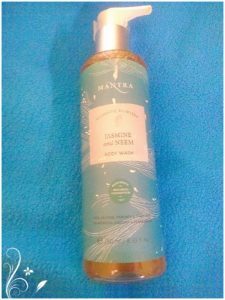 wash and clean face , then apply a thick layer of this mask on their face & neck . Leave it to dry for 10-15 minutes and then remove it gently by water . I find it , it is not going to be ideal for dry skin as it dry your skin but it is great for combination and oily skin . After pregnancy I have sever hair fall and I feel like I am going to bald in couple of month , my rescuer is this product which not only stoped my hair falls but make my hair shiny and smooth. I love it so much that I have finish it. This Argan Hair Mask has goodness of Argan Oil , Curd , Milk Protein and Avocado Oil,Rosemary Oil , Cedar-wood Oil .It contain Tea Tree Oil which removes dandruff . Free of SLS , Pthlates , Parabens , Mineral oil . It Cleanses and soothes scalp , repairs damaged hairs and controls hair fall . It can be used as a Hair Mask is similar as a Conditioner . 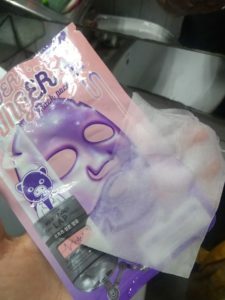 The product is a white color thick mask .fragrance is strong that might not be liked by those who are sensitive to strong fragrances. Price: 599 INR for 200 ml. Its been 365 days of happiness in INDIA that you spread amongst all moms and BABIES. 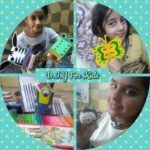 THIS LITTLE TOKEN OF LOVE IS SPECIALLY FOR YOU..
Today I will tell you about my favourite product and brand with reviews. Hope you gonna like it. First let me give you short intro why I turned to this brand. 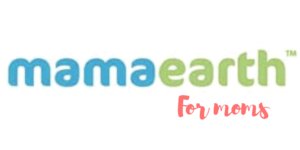 The mom behind Mamaearth is Mrs.Ghazal Alagh (Chief M`om @Mama Earth) who has taken utmost care of mom’s worries about selecting the right product for their apple of the eyes. I am one of the mom who too become victim of big brand names and product . 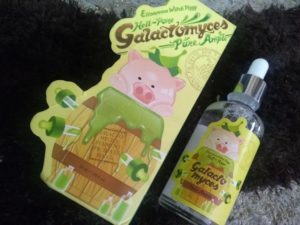 When my first baby born ,I promise to give her best but my promise broke in few days when the most popular brand’s product caused skin allergy to my little princess. 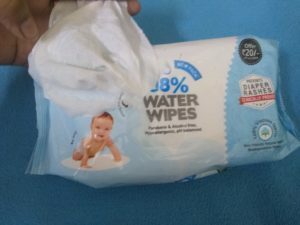 I was shock to know that such a big brand in baby caring ranges, can harm my baby. Then I realized that all brand products use harsh chemical as ingredients of products. My search start for natural / organic product. Thank to Mrs. Ghazal Alagh that she come up with first of Asia’s natural based product for mom and baby. As it name says Mamaearth – its like care of mother nature because all its product are natural that means no chemical in it. 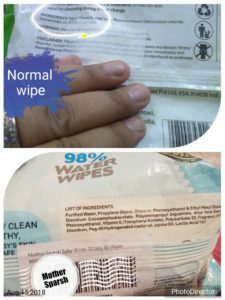 I have used Mamaearth baby products , they works wonder and my special one is insect repellent and sunscreen which I haven’t find yet in any other brand plus worry free part is, it is safe,natural and toxic free for my 3 month to 15 month baby , I am using its products. I am very much satisfied . 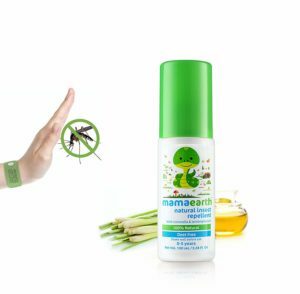 I am using Mamaearth insect repellent on my 7 year old daughter too. Although it is for 0-5 year child but It does great work on her too. The smell is a bit stronger but actually that smell does not let insect come near. DIRECTION FOR USE: Shake well before use. Remove the cap and cup your hands to spray on your palm.It can be spray directly to skin . for face I spray on my palm then apply on my babies face. It is very effective for 2-2.5 hours. After that, you need to re apply. 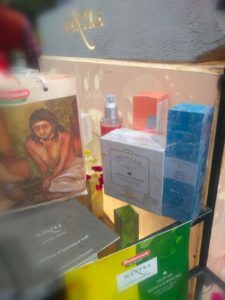 My second most favourite is Mamaearth sunscreen -My baby is too naughty , he cant sit at one place and specially at home so direct sun exposure in summers can damage skin and even I cant caged him inside the house. 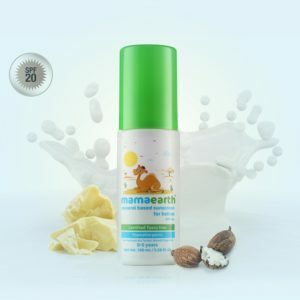 Again MAMAEARTH came up with solution for this problem with its sunscreen . It is SPF 20+, especially formulated to be non irritant and ideal for baby’s sensitive skin. it is non greasy, non allergenic . Simply take a pea sized amount in your palms and apply on your baby’s face and body. It’s consistency is perfect, not too runny. It is very easy to apply it. 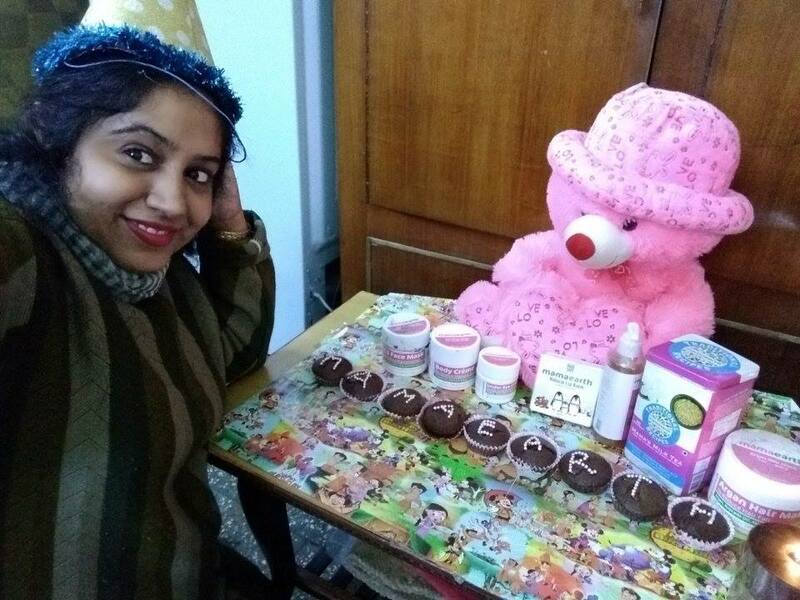 IN next post I will tell you about Mom care product by Mamaearth which I personal love because care of mom is as important as baby.